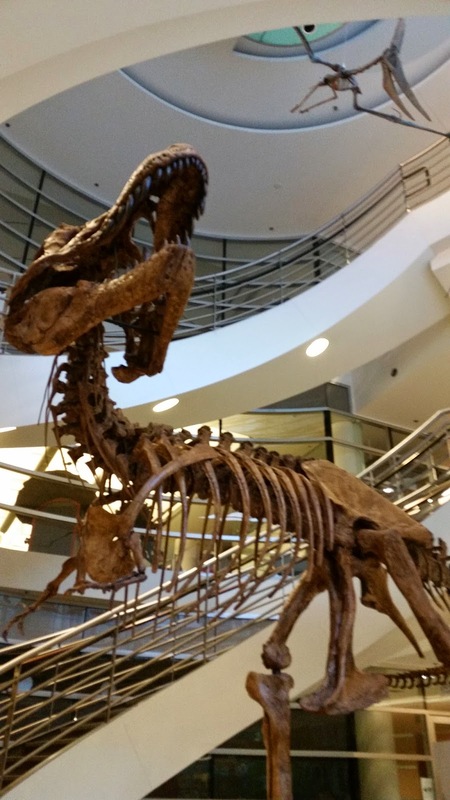 For people visiting or living in the Bay Area of California, the University of California Museum of Paleontology (UCMP) has some great fossils, but most of the rooms are only open to the public one day of the year, on Cal Day (this year April 18). In addition to more of the museum being open, Cal offers a number of free archeology (and other) lectures. 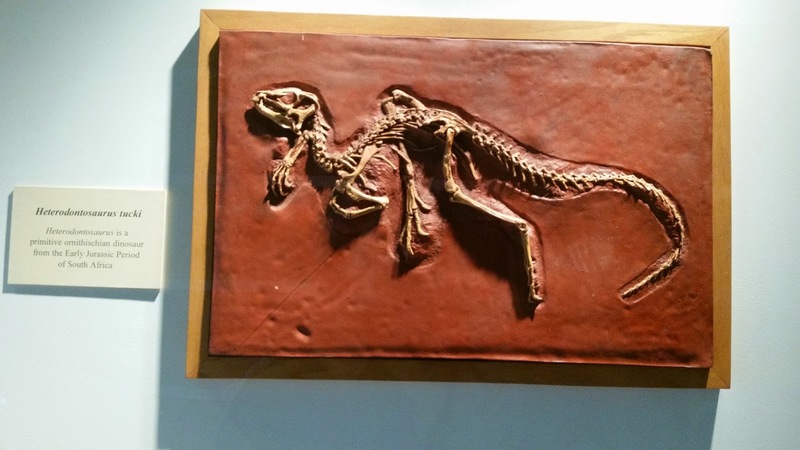 Below is a cast of a T-rex found in eastern Montana in 1983. 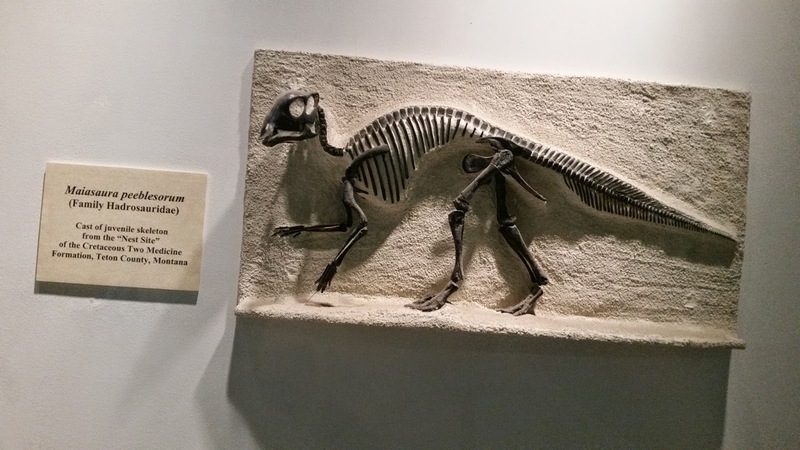 According to UCMP, it’s named after Kathy Wankel, who discovered the fossil. In April 2014, the real bones of the Wankel T-rex were delivered to the Smithsonian in D.C., to be the new main display in the dinosaur and fossil hall. UCMP also has a couple Triceratops skulls on display. The big skull was also discovered in Montana, in the Hell Creek Formation, but by John Ruben in 1970, who was a Berkeley grad student at the time. 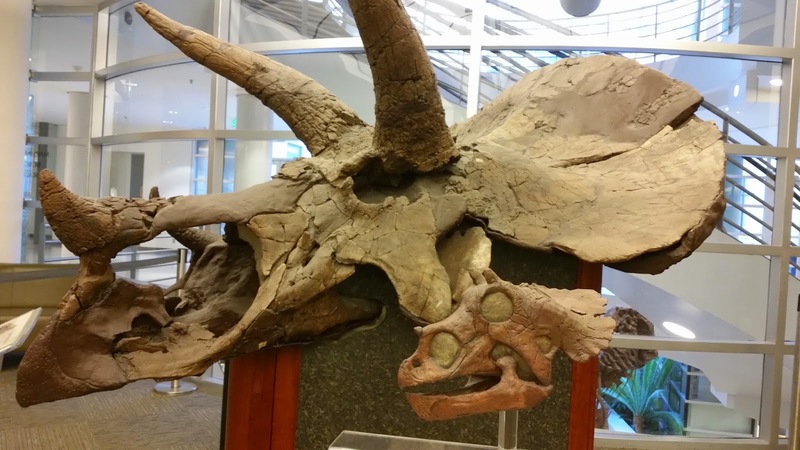 The small skull is a cast of a baby Triceratops, and the smallest Triceratops skull found. At 38 cm long, it had developing horns and was probably not even a year old when it died. 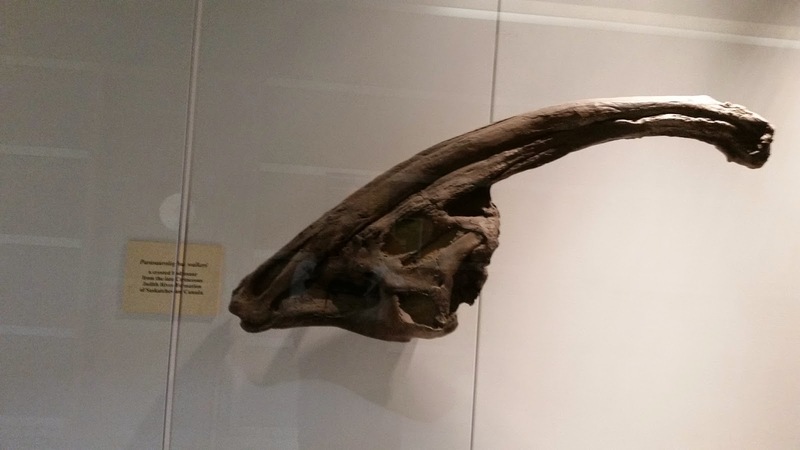 The skull also comes from the Hell Creek Formation, but it was disovered by Harley Garbani in 1997.